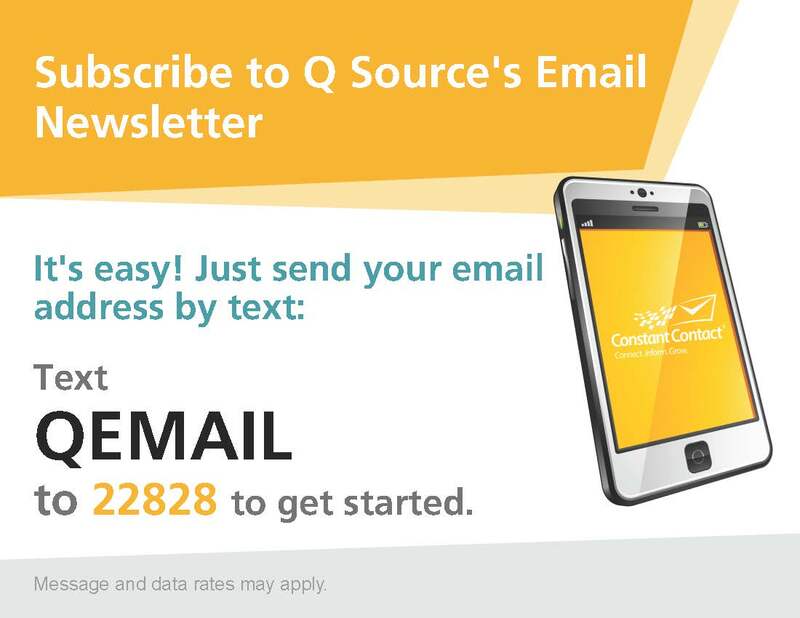 We’re excited to announce a fast, new way to subscribe to our email newsletter: Text-to-Join. All you have to do is text QEMAIL to 22828 and follow the instructions to send your email address. You’ll be signed up to receive our emails in seconds. Our email newsletter includes money-saving promotional offers, industry and product news, and other interesting tidbits. 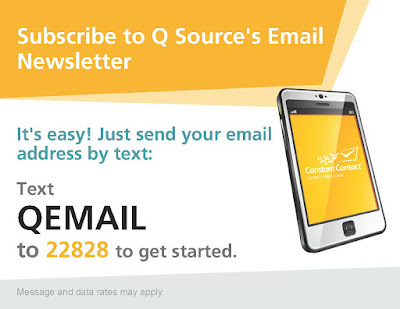 Every Friday you’ll receive our “Featured Product Friday” promo by email and once a month you’ll get our Q Source Resource Blog Digest, which includes the most popular blog posts from the previous month. The Text-to-Join option is currently only available to U.S. subscribers. You can also sign up for our emails by following this link to subscribe via our Web site. Please Note: Text-to-Join is currently only supported by the United States phone carriers AT&T, Verizon Wireless, Sprint, T-Mobile, Alltel, Boost, and Nextel. The Google Voice app will not work with Text-to-Join, even if it is on a supported carrier phone. Shop QSource.com for thousands of must-have, popular items from top-brand manufacturers for a myriad of applications.